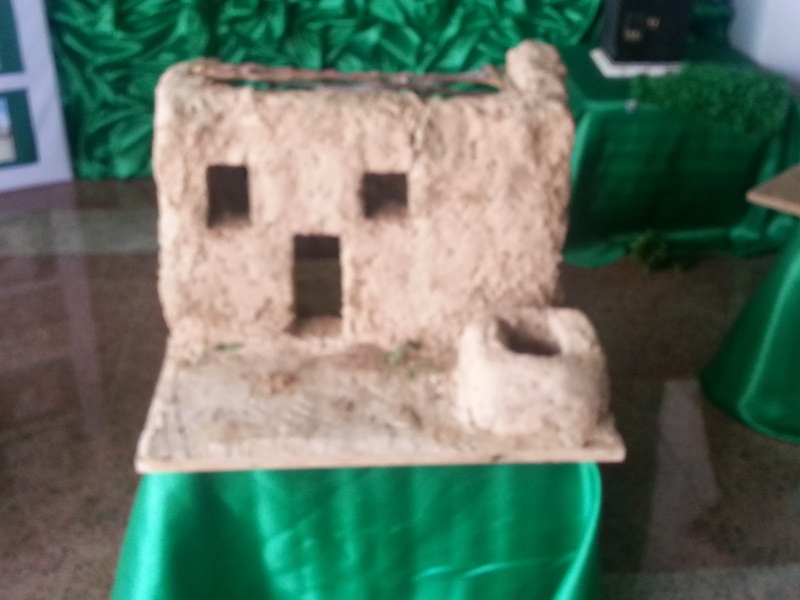 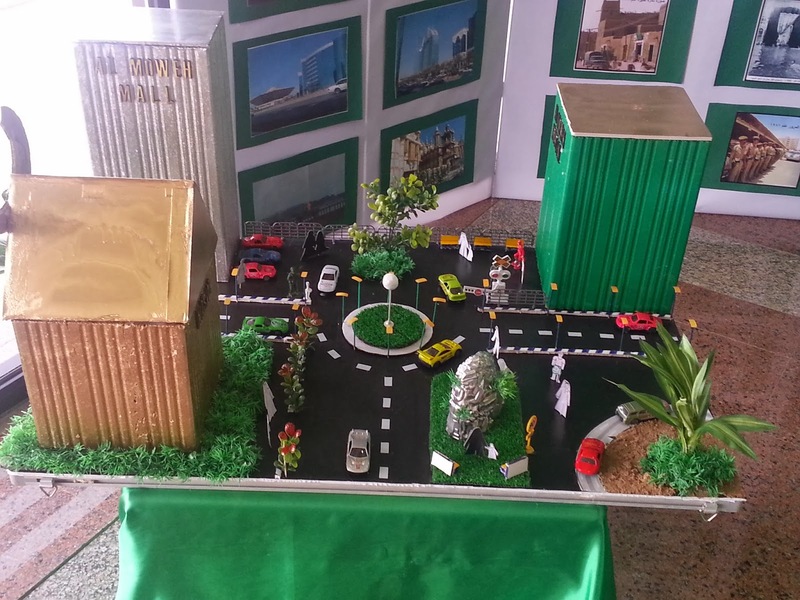 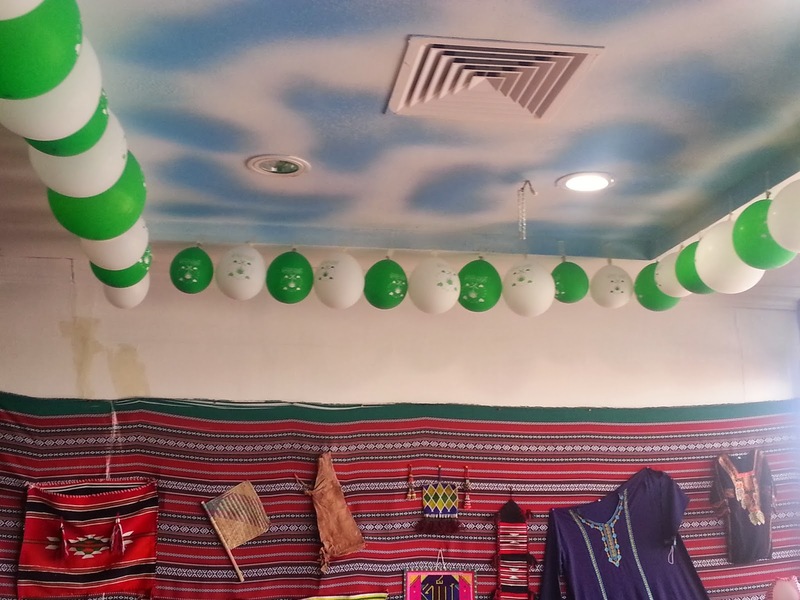 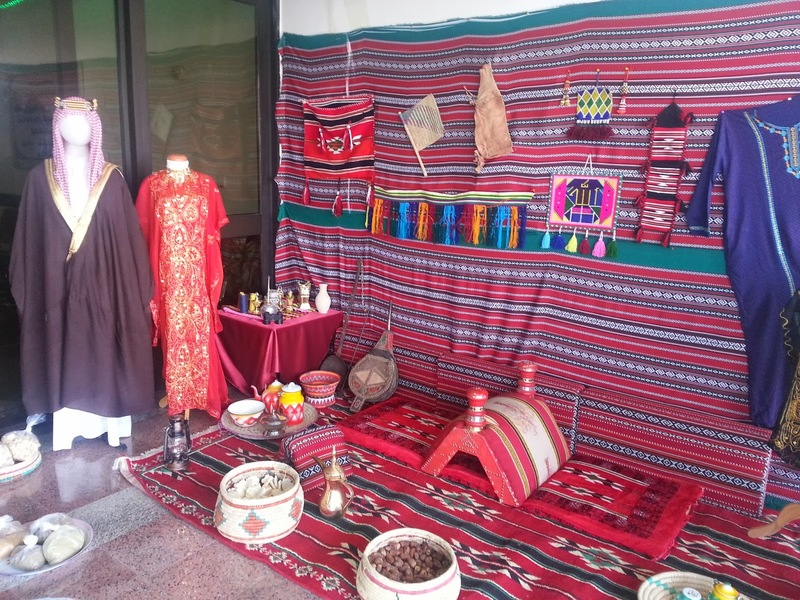 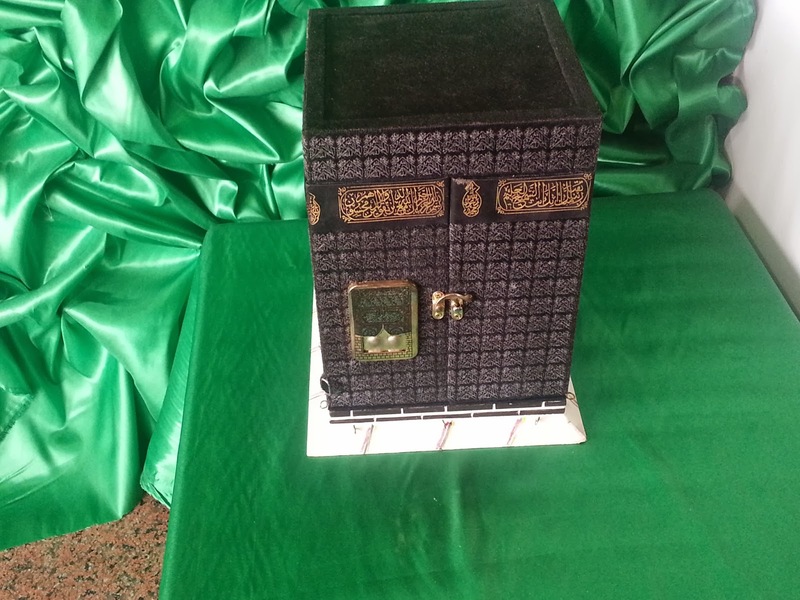 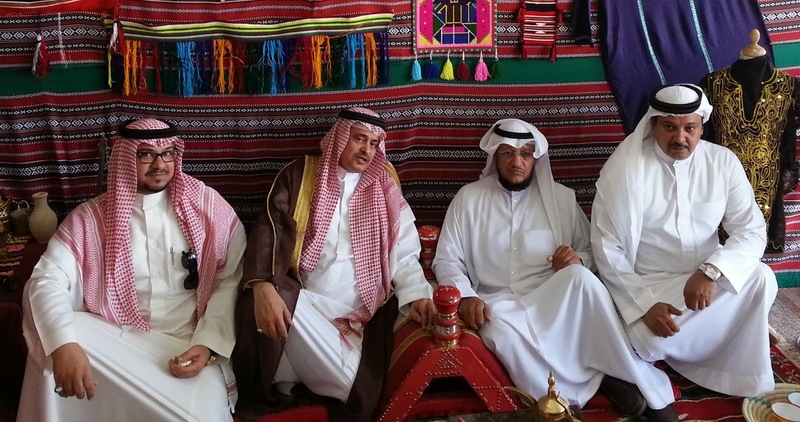 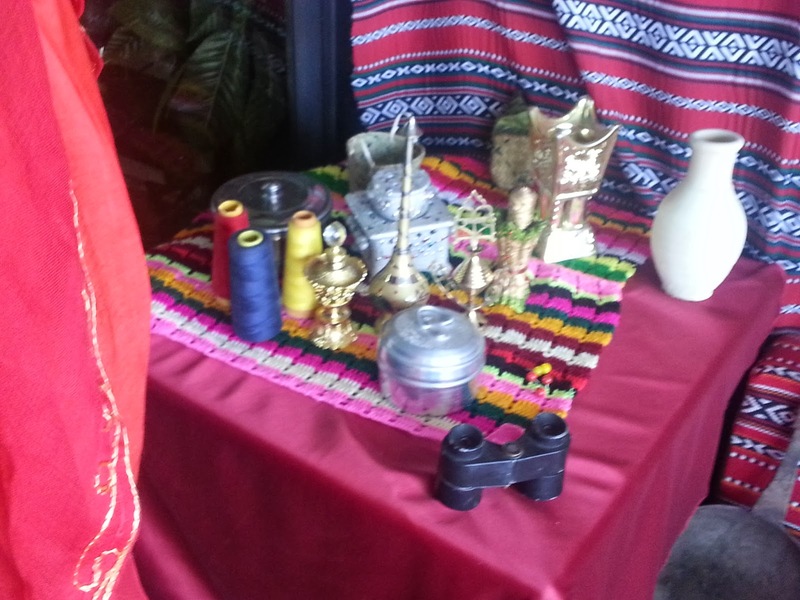 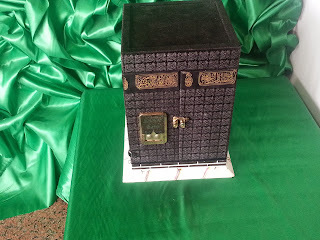 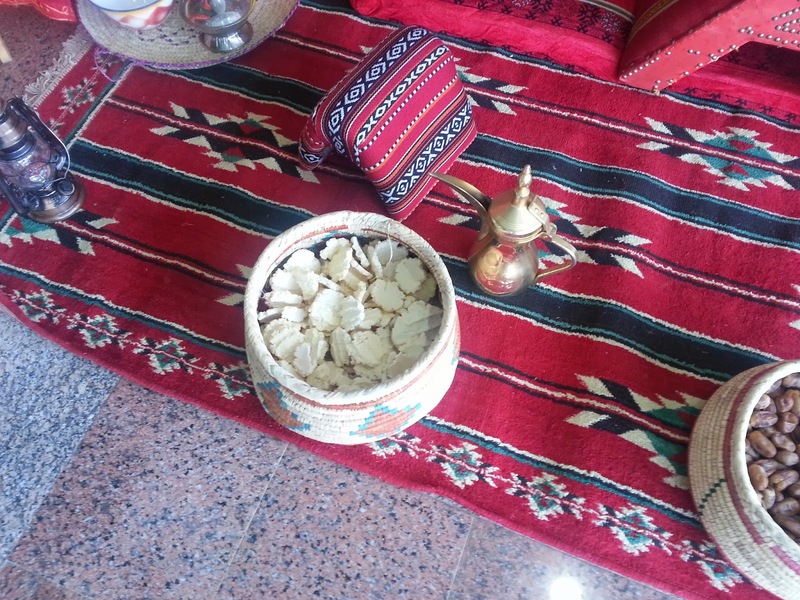 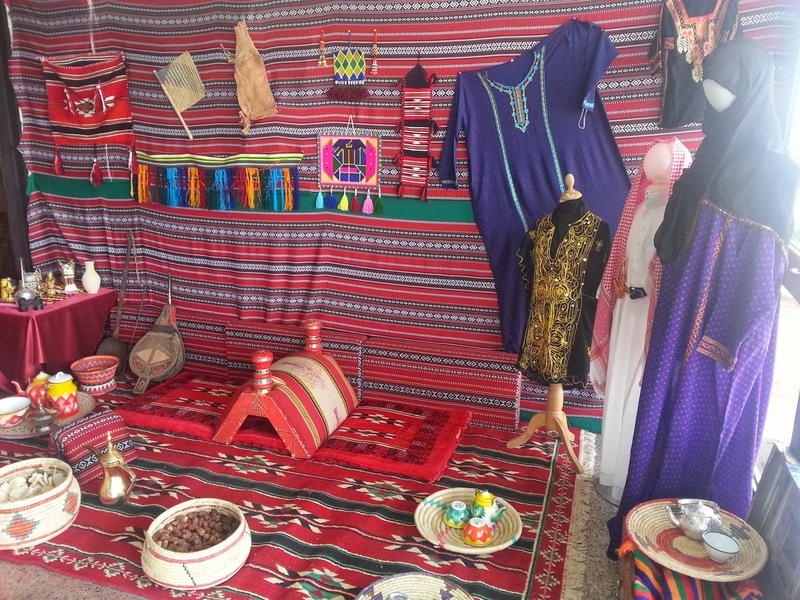 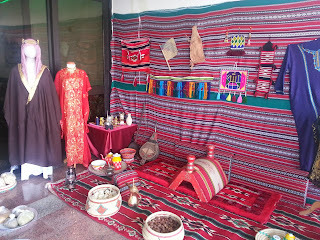 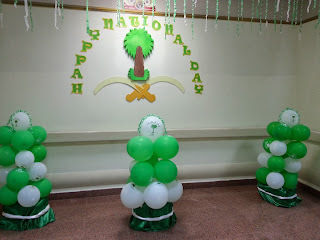 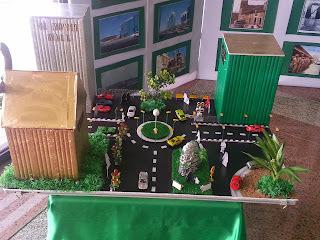 A week has passed since I last posted in this blog, and the reason is that nothing really eventful is happening, However, I must mention that we had the Saudi National Day celebrations on 23rd September. 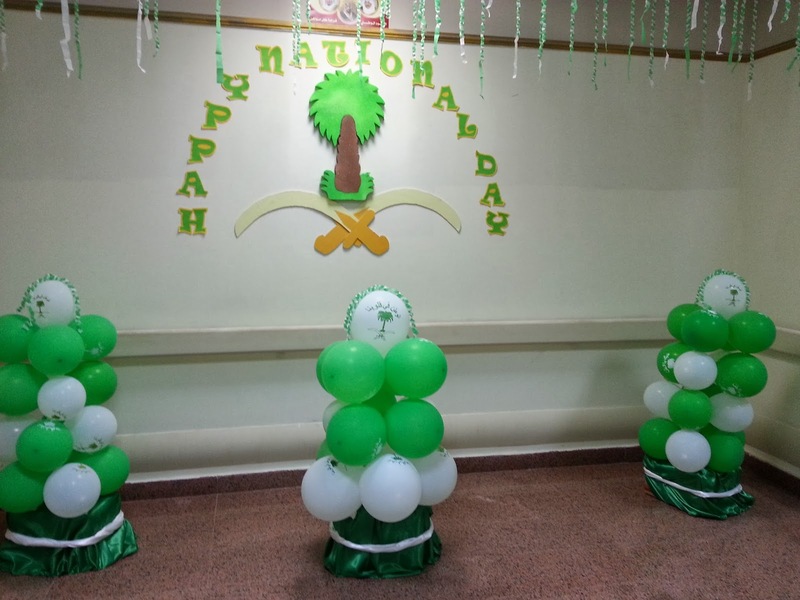 This day is observed as a holiday all over the country. It commemorates the unification of the various tribes into one nation by the first king of the country Ibn Saud in 1932. This year, our hospital celebrated the event in a big way with decorations and a lot of festivities. 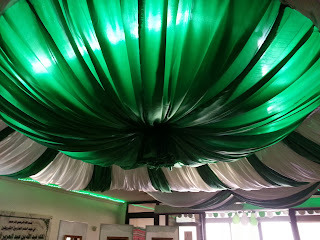 The immense decorations were funded by the government, and the elegant displays were made by the highly talented Filipino nursing staff assisted by the other nurses, workers, helpers and all the rest. 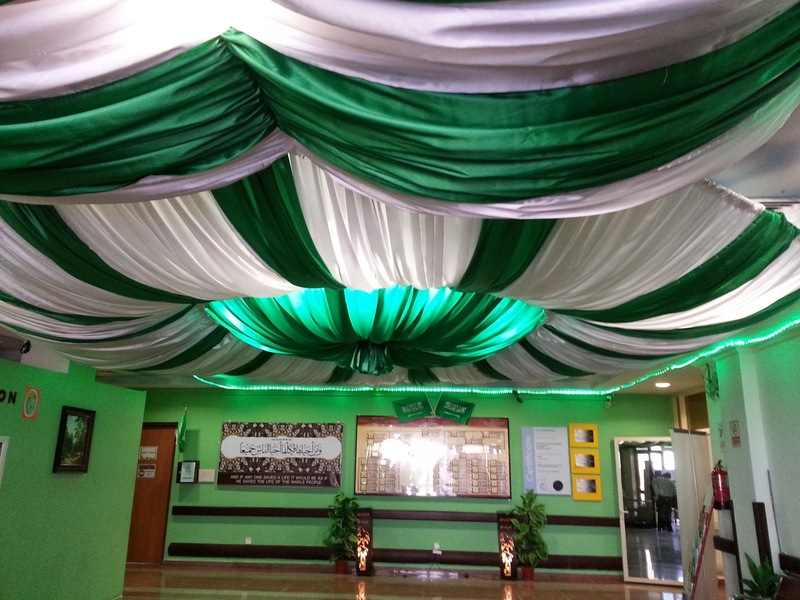 Larger decorations were put into place by the male staff of the maintenance company. 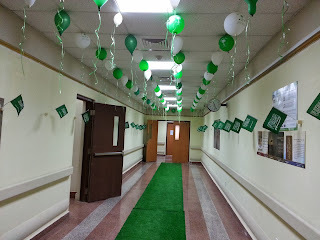 The corridor going to the E.R. 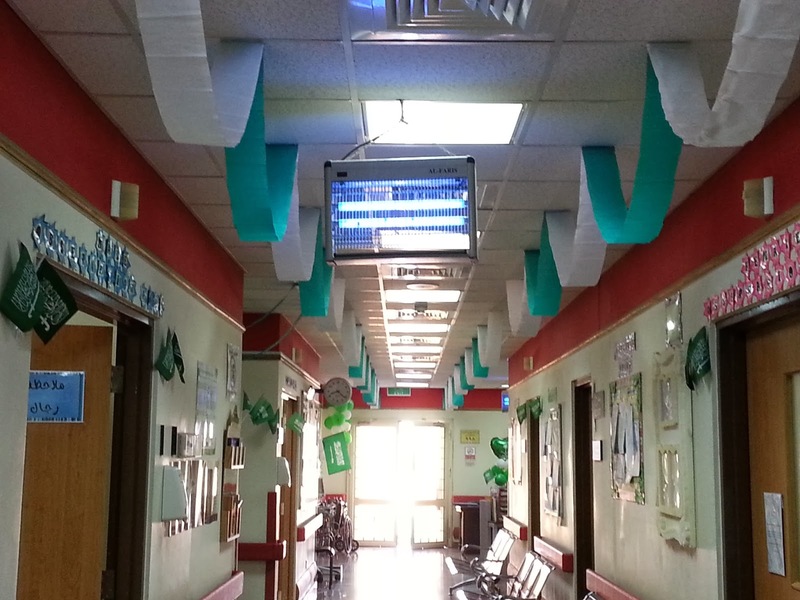 On the National Day, the entire hospital wore a festive look. 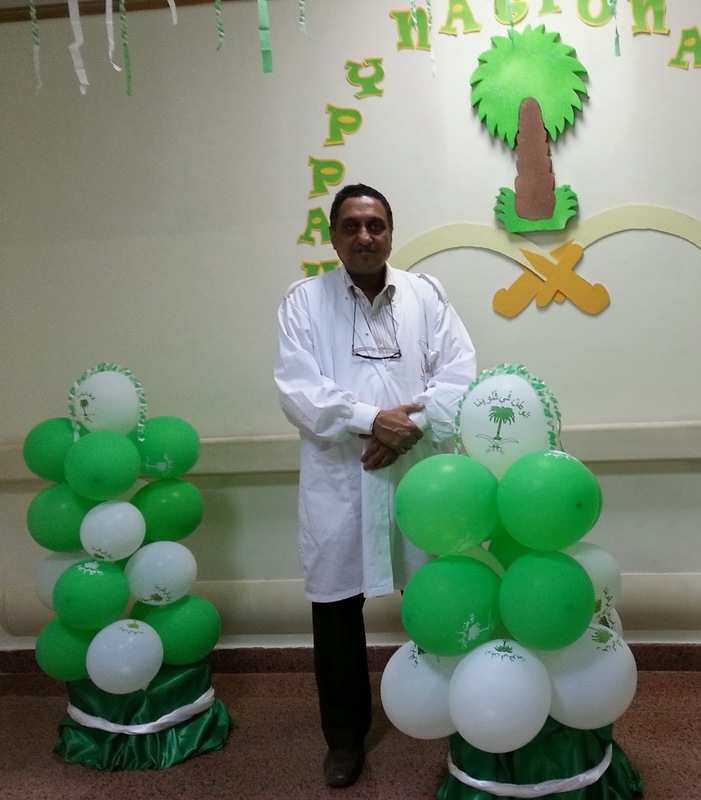 However, it was at about half past nine that important dignitaries came to visit the hospital and broke bread with the administrative staff. They took a round of the hospital, admired the decor, sat on the home decoration that is shown above, and stayed there to partake of tea and dates. 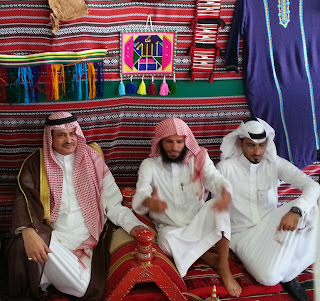 After this, they were all taken to lunch in the kitchen. We were all invited too, and served a delicious buffet of traditional Saudi Arabian dishes; one of them was a wheat and mixed grain porridge much like our khichda or harissa; another was a sort of large chapati dipped in honey; a third was a mixed vegetable curry; there were others that I could only partly understand, but, yes, there was chicken too. 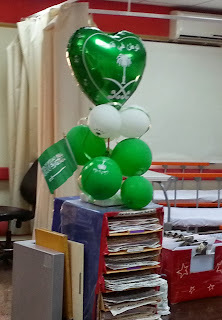 The serviettes were all steel, and the plates and stuff we got was all green, and disposable.